What Kind Of Tow Truck Do I Need? 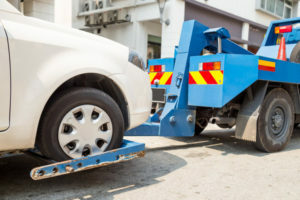 In most instances, hiring the services of a towing company is often the last resort and is not always a planned agenda. Despite this, vehicles can suddenly break down at any time and when that happens, hiring a towing company becomes inevitable. 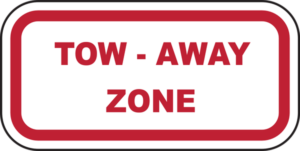 What many do not also know is that towing a vehicle is a complicated process that requires using the appropriate tow. Towing trucks have specific designs, and each of them comes with their particular uses and benefits. It is therefore crucial that you know which type suits your needs so that you do not end up wasting your time, efforts and money. Flatbed Tow Trucks – this tow truck works using a hydraulic system. It is usually long and empty at the back. The hydraulic system makes it easy to drive a vehicle up an inclined plane, or if broken down, it can be pulled up quickly. Flatbed tow trucks are most suitable for vehicles that developed a fault on the roadside or with cars that have been in an accident. Hook And Chain Tow Trucks – this one can be used to tow all kinds of cargo. A hook is attached to the vehicle, and it is lifted off the ground such that two of its wheel remains on the ground. Hook and chain tow trucks can apply a lot of pressure on the towed vehicle, and this sometimes results in further damage. All-wheel drive and 4X4 cars/trucks cannot be pulled using this type of truck. It is best suited for a wrecked car. Integrated Tow Trucks – this tow truck is specially built for heavy-duty purposes. It is used to transport rigs or buses, with its extra axles producing stability and strength. Wheel Lift – its setup consists of a metal yoke that is placed under the rear or front wheels of a vehicle(depending on which wheels are the drive wheels). It lifts the automobile without place stress on the bumper. It is very cheap, and the weight of the yoke on the vehicle is evenly distributed. It is suitable for towing coaches, caravans, motorhomes, trucks, etc. 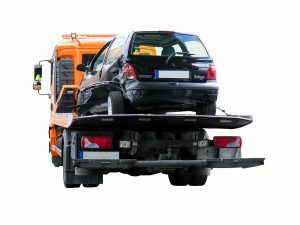 Knowing the tow trucks listed above are quite essential and will guide our decisions in those moments when our vehicles break down unexpectedly. When calling for a towing service, be prepared to tell the company the type of vehicle and the condition of the vehicle being towed. With that information, the towing service will send the proper equipment to get the job done. 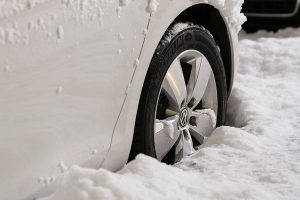 It is not unusual at all to call a roadside emergency towing service when your car gets stuck in the snow, but depending on the weather there may be a long wait for help to arrive. Still, with a little bit of imagination and manual effort, a car can sometimes get unstuck without professional assistance. Here are five things to try before calling for professional towing help. However, it is strongly recommended to call roadside emergency towing if the car has met with an accident or is off the road in a ditch. You should straighten the wheels and start the engine. Using a low gear, drive forward. Then reverse and back the car up a bit. Again, move forward and then back. This back-and-forth motion (rocking) can tamp down loose snow causing the tires to gain traction. Continue this several times until you feel the tires grip. However, if the tires just spin (you’ll hear it), stop this method. Spinning tires will only make the situation worse. If you can find a couple of people to help, you can try pushing the vehicle. Be sure to start pushing the car and applying gas at the same time (like on the count of three). Again, using a low gear, apply the gas gently, so movement is slow and smooth. Also, be extra cautious about the safety of the pushers. If you have snow chains, this is the time to use them. In fact, the application of snow chains can get your vehicle out in most of the cases. If you don’t know what snow chains are, you probably live in the South so just move onto the next suggestion. Sprinkle some sand in front of the tires to add traction. If you don’t have access to sand, any of these items can also be used to help with traction: kitty litter, newspapers, cardboard or car floor mats. Try letting some air out of your tires. This move will increase the surface area of the tire in contact with the ground to create additional traction and may help a bit to move the car. Don’t let out too much; you don’t want a flat tire. If none of the above tricks work, it’s time to call the nearest roadside emergency towing service. 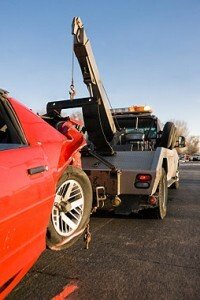 Call Unlimited Recovery and Towing at 919-790-9393.